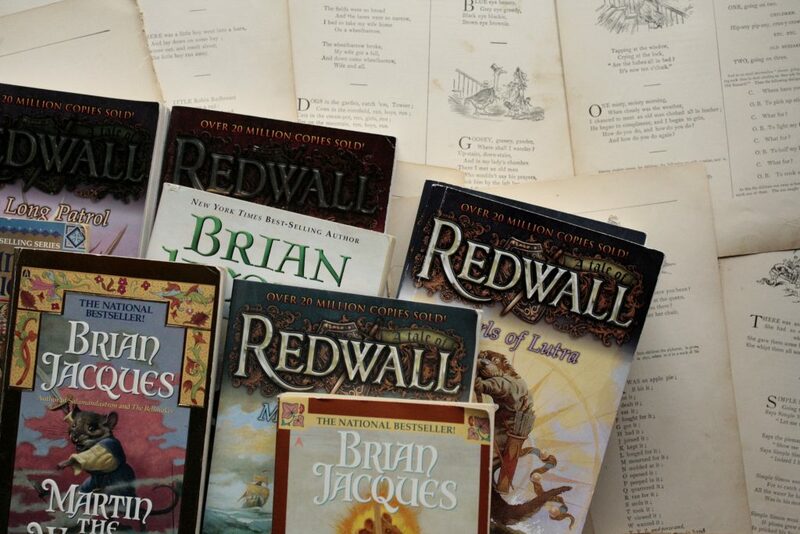 Redwall. Now she knew why creatures talked of it with such reverence; it appeared to blend with the surrounding Mossflower country as a haven of rest and tranquility, in harmony with all nature, like some gentle giant of a mother, sheltering and protecting her children. 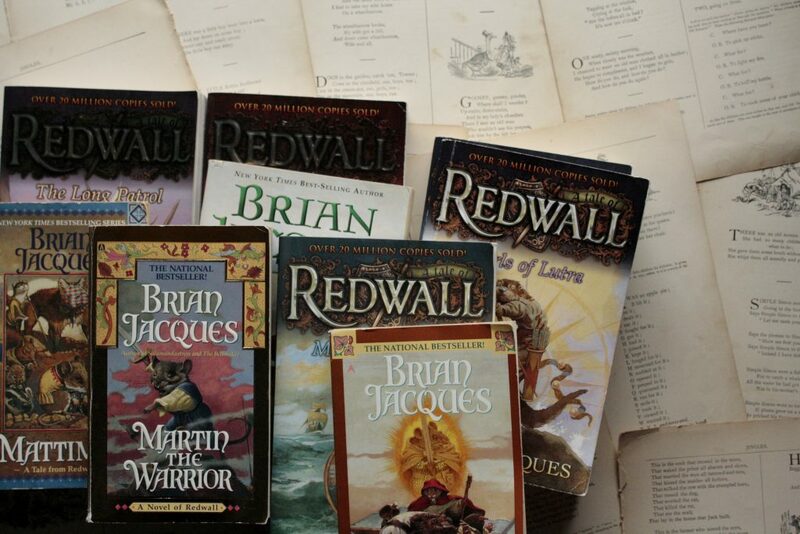 I encountered Redwall Abbey in my early twenties. I was wandering then, in need of a refuge, and I found one within the grounds of Redwall. Evil was clear-cut there, easy to see and to fight—unlike the sin that seeps and simmers in our adult lives. 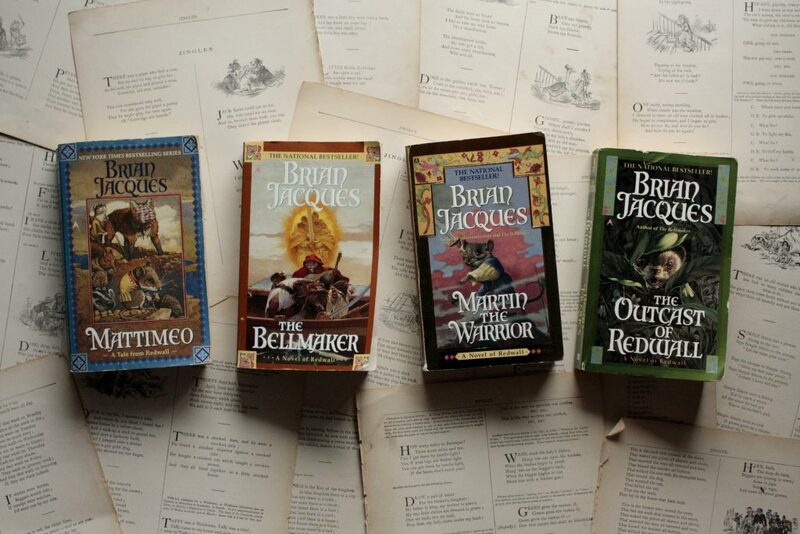 Reading about the peaceful creatures of Redwall battling the rat Cluny, and feasting on good things like woodland salad and maple cordial fortified me for my own battle. A good story can do that. But when I handed my battered copy over to Lydia a few weeks ago, I didn’t expect her to love it. I even cautioned her that she may not love it yet, and that if she didn’t fall for it immediately she should withhold judgement and try again in a few years. Cluny is really scary, and I wasn’t sure she was ready to meet him. She was ready to meet him. She came downstairs a few hours later, shining-eyed and wondering if there were more books in the series. 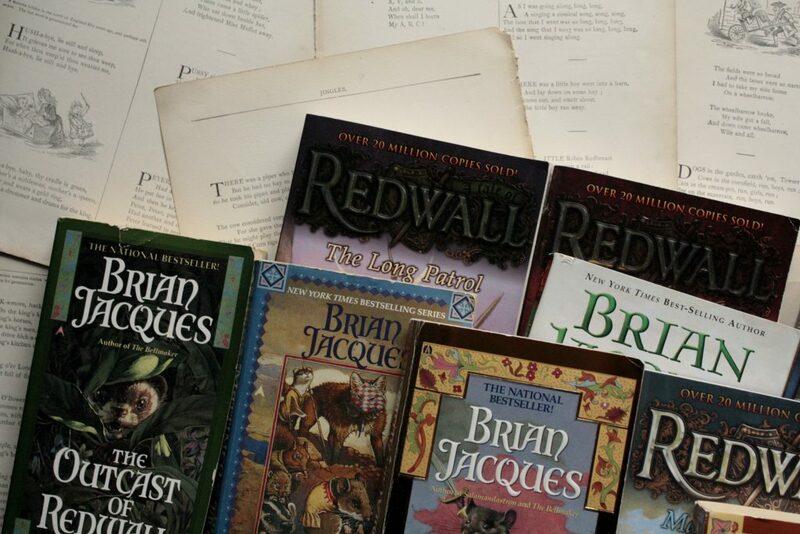 Lydia was in luck: Redwall is one of twenty-two books (meaty, full-length, well-written books) about the Abbey and its inhabitants. 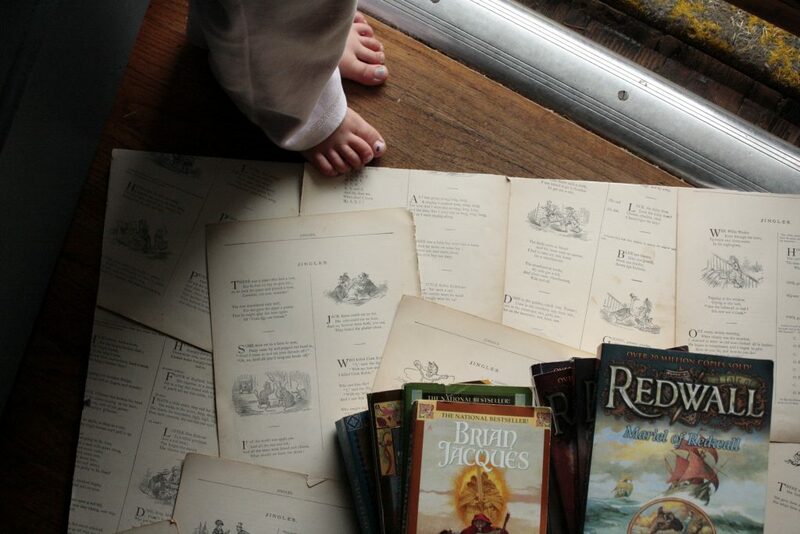 The inhabitants change from book to book, as the stories generally take place at different points along a timeline. 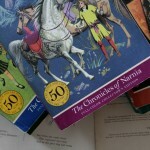 Think Chronicles of Narnia or Star Wars: you grow to love one batch of characters in a book, and then pick up the next book to find a batch of brand new characters to love, with, perhaps, a few cameos from old favorites in the new story. The mischievous Dibbun of one book may be the elderly Abbot of the next book. It’s great fun. 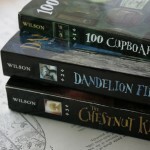 I love these books! 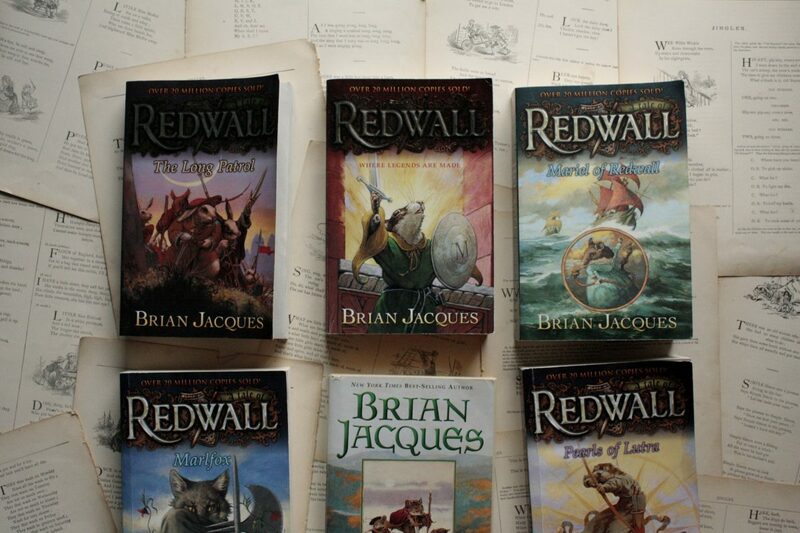 I can’t believe that the first time I read Redwall, I wasn’t sure I would like it. Girls will like it because there are beautiful girls who are very brave, too, and boys will like it because there are lots of battles. There are hilarious hungry hares, beautiful young maidens, old abbots and abbesses, brave young warriors (who are sometimes girls! ), cute little Dibbuns, strong badger lords (and a badger lady), very bad vermin, big brave Skippers, odd-speaking moles, argumentative Guosim shrews and much more! 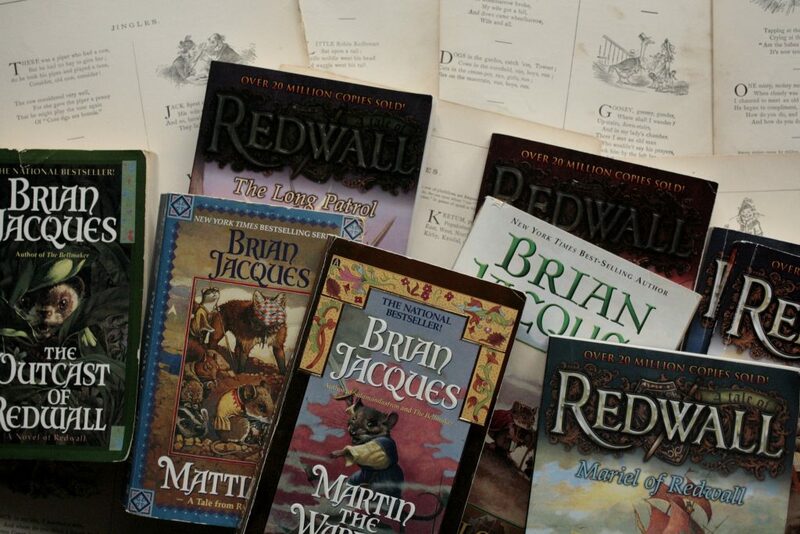 Dive into the world between the covers of a Redwall book! I think she summed up the series quite nicely! I can really only add a few grown-up thoughts to that. The evil in these books is shocking, and I think it’s meant to be. The villains in these stories war amongst themselves, kill innocent creatures, and go to terrible ends to achieve their goals. They are brutal, but they are rarely funny and never glorified. When the story transitions from the villain’s stronghold, where he slays his friends out of vengeance, pride, or boredom, to the Abbey orchard, where strangers and friends feast together, the reader can’t help but love the lovelier scene. As my daughter and I have discussed these books, I’ve been struck by how well they help shape her affections. She has been quick to notice the way that the creatures of Redwall serve one another, while the villains serve only themselves, or to notice how the Redwall soldiers honor their fallen while their enemies simply leave their dead behind. And that contrast is, I think, the point: there is no moral ambiguity to this story, no anti-hero. The bad guys are very bad; the heroes aren’t perfect, but they are still very good. 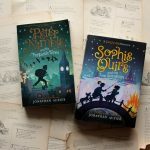 Jacques was a child in England during WWII, and I wonder how his experiences shaped the portrayal of evil in these stories. 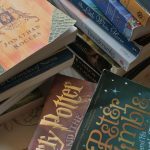 If your child is a sensitive reader, I will give you two warnings: Be ready for graphic battle scenes and very bad bad guys, but don’t let those turn you away from the story. Jacques does a great job of making the stories feel safe, even when they’re at their scariest. Jacques was fond of writing in dialect. In the case of the hares, who sound like characters from a P.G. Wodehouse novel, this is delightful. But in the case of the moles, who are meant to sound (I think) like operating drills, the dialogue can be a bit trickier to decipher. If you’re reading aloud, you might familiarize yourself with the dialogue before reading to your kids so you don’t get sucked into a whirlpool of zzzs and rrrs. The food. Oh, the food. 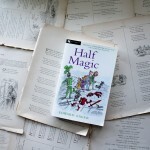 Jacques has said that his lavish descriptions of Redwall feasts sprung from his memory of rationing during the war, when he fantasized about the dishes in his mother’s cookbook. His descriptions of food are so mouth-watering that they have inspired a whole cookbook and have inspired us to throw our own Redwall feast. There are so many dishes in there that sound wonderful, even if I have no idea what they are: meadowcream trifle, buttercup cordial, mushroom and leek pasty with gravy. 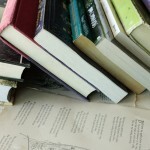 I want comfort food—and a lot of it—when I’m reading these books. In fact, that was the second caution I offered Lydia when I gave her the book: you might not like it yet, and it will probably make you hungry. I am so glad I was wrong about the first one, and so glad I was right about the second.